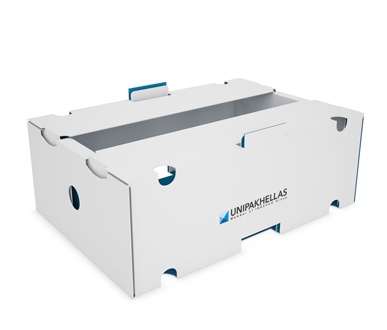 Traypak© - Agricultural Tray - UNIPAKHELLAS S.A.
Machine erected corrugated trays providing versatile packaging solutions for fresh fruits and vegetables with an interlocking system. 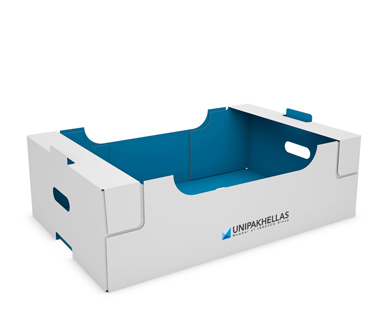 Our corrugated agricultural trays (traypak©) are made using high-strength board that keeps your fresh produce completely safe, whether it’s being shipped, stored or displayed. Known for their stiffness and functional features, our machine-erected corrugated trays provide versatile packaging solutions for fresh fruits and vegetables, with an interlocking system for smart stacking. 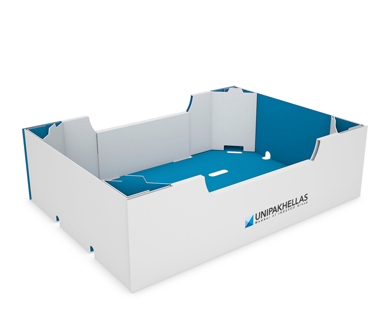 Made from corrugated cardboard, our trays not only improve your in-store displays but are also provide improved ventilation, allowing your fresh produce to have a shelf life of up to three days longer than if kept in plastic crates. 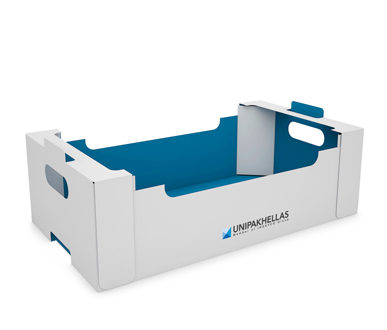 To help promote your company, our agricultural packaging can be fully customized with your company’s branding.